Departure place: entertainment center “Duman” (opposite to the “Keruen City” shopping mall). Boarding on other stops is possible. You can contact our representatives by any means of communication during business hours. With this ticket, you can travel around the city on our double-decker buses within 24 hours with no restrictions on number of boarding and exits. If you are hosting a wedding or a party, meeting a delegation or willing to impress guests of your event, a large red double-decker bus is at your service. 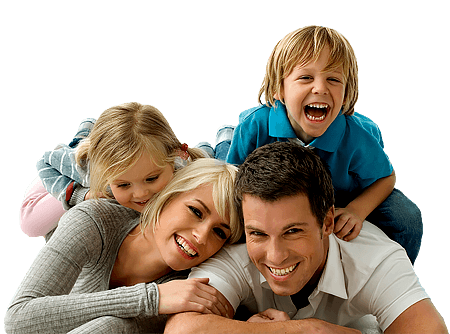 Contact us and book your desired date and time. 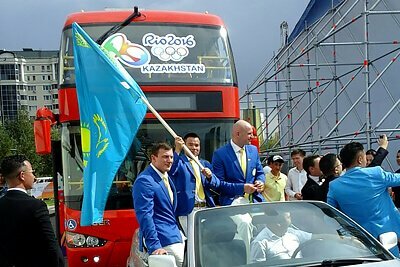 You can fully brand the buses for your corporate colors and logos, place advertisements on tickets, on tourist maps and inside buses. 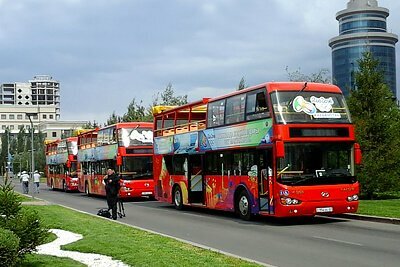 Contact us and we will help you develop the most optimal format for your business promotion with our buses. What do I get for the money paid? For the ticket purchased you get the opportunity to ride our double-decker buses for 24 hours without restrictions on the number of boarding and exits (as a travel card). We recommend guests to make one full circle on the bus and listen to the audio guide. Then you can get to the sights you need and spend time there. After that, you can again take our bus and drive to the next desired spot. You can purchase tickets directly at the bus from the driver or steward. How do I rent a bus for a wedding? 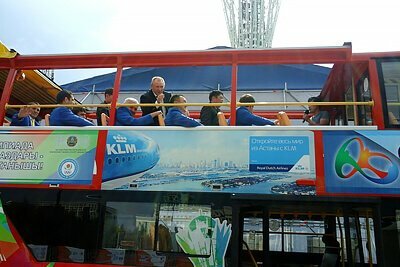 Renting a double-decker bus is an excellent idea for the organization of wedding ride around the city. You can contact us by phone +7 777 555 75 75 and find out the latest information on pricing and available time for renting a bus. 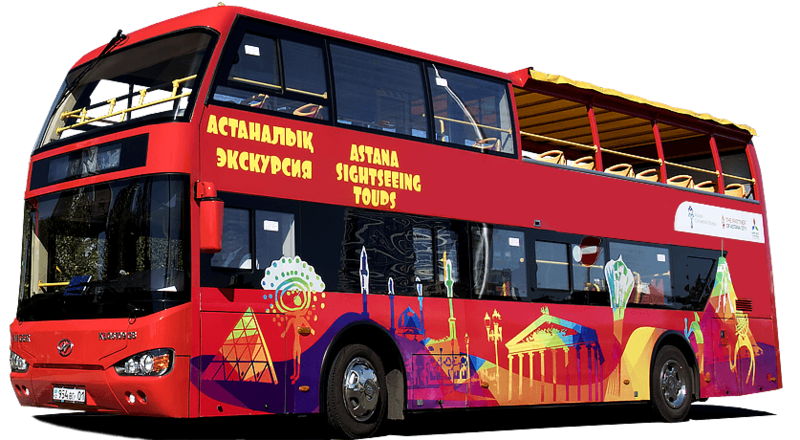 Excursions around Astana on Red Bus double-deckers. 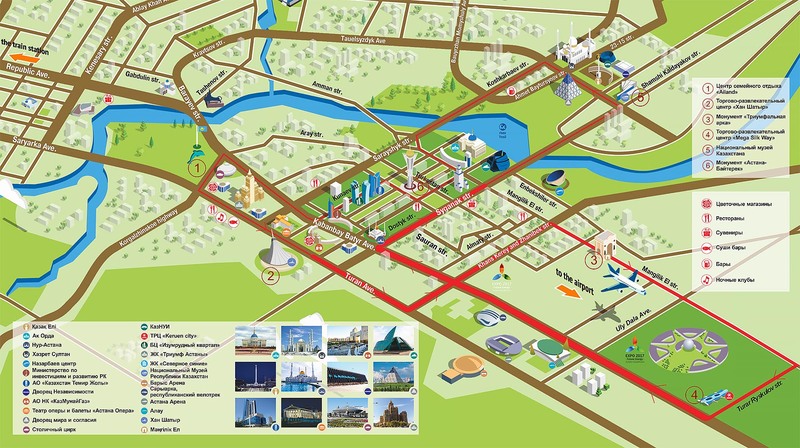 Our sightseeing tour passes through the very heart of the city..
You will have an opportunity to see all the main sights of Astana. You will dive into the history of virtually every building, feel the atmosphere of the left bank, and get an unforgettable experience!